Smartphones are rapidly taking over a larger share of the purchases that are being made over the internet. 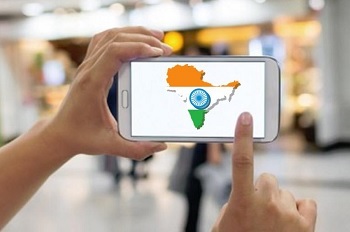 According to recent statistics, it looks as though it won’t be very long before nearly all of the online shopping going on in India will be made up of mobile commerce based activities. This data is according to one of the largest e-commerce companies in India, Snapdeal.com. Snapdeal.com is now predicting that 90 percent of its orders will be purchased on its websites by users of smartphones, as those mobile devices become more affordable and make it possible for a growing number of people to reach the internet. This will bring millions of new customers exclusively to their website via mobile commerce. That marketplace has already been seeing massive increases in its figures as a result of this channel. 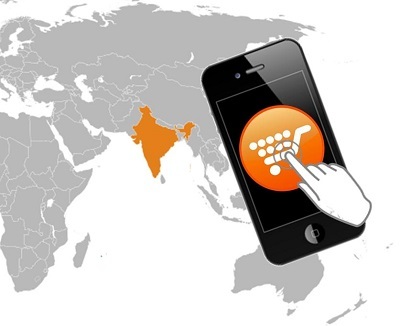 Mobile commerce will, therefore, become the most important online shopping channel in India in two years. Over the last year, Snapdeal.com, which is an online marketplace backed by eBay, has experienced a rise in m-commerce based purchases that has brought it to the point that it is now thirty times larger than it had been only twelve months ago. It has already reached the point in which nearly 70 percent of its orders are already being made by consumers who are accessing the websites by way of smartphones and tablets. According to the chief executive and co-founder of Snapdeal, Kunal Bahl, that percentage will only continue to increase. Bahl explained that “It’s a tsunami of users over mobile phones.” He also expressed that approximately 65 percent of the consumers who make purchases over mobile devices are first time users of the site. The majority of those new years are in younger demographics and reside in smaller cities and towns across India in which broadband internet service has not yet become the standard., said Bahl. Many of the users who make purchases via mobile commerce also do not have credit cards. For this reason, they take advantage of the opportunity to be able to have their purchases shipped to them, at which time they pay through cash on delivery.